I prefer to wear tinted moisturiser rather than foundation on an everyday basis. After trying a few, I decided to try Benefit's offering as it comes in a fair-skinned option and tinted moisturisers are often too dark for me. I tried it out on my hand at the Benefit counter and I was impressed with the amount of coverage it had so I bought it. It also has spf 15 which I love. This tinted moisturiser has a gorgeous scent, it's like sun cream. I have pale yellow-toned skin (NC15), but this applies a little too yellow for me. 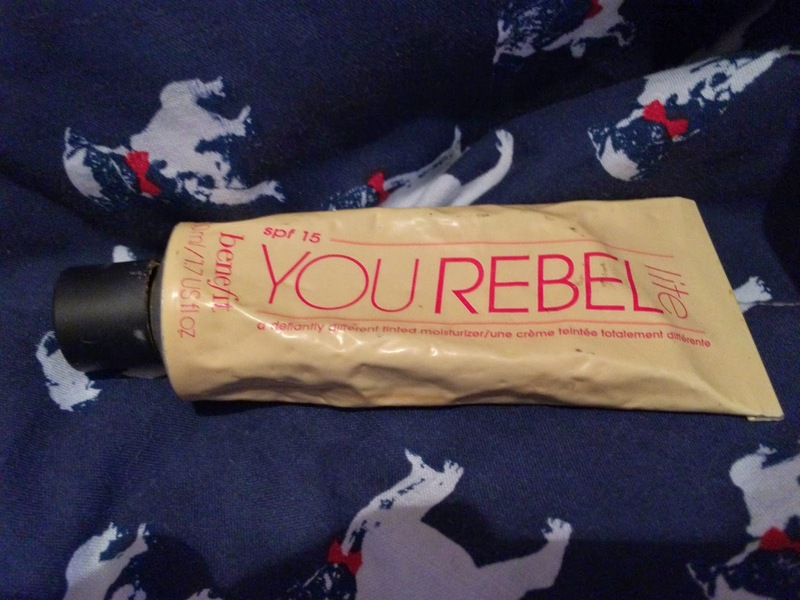 I wear it under powder which disguises the yellowness a little but it is quite oddly coloured on my skin. I have repurchased this a couple of times simply because it moisturises my skin well and provides adequate coverage without having to use foundation. Using this with powder gives me the look that I want, but using it on its own leaves my skin a little too yellow.